SIGNED AND NUMBERED COPIES AVAILABLE NOW!! Chris has been angling for over 35 years, and carp fishing for over 30 years. He has fished all over the world during this time, predominantly for carp, but also many other freshwater species. Starting from the early years of his angling life, ‘Cutting the Mustard’ as Chris calls it, the book continues with his adventures in the South East of England, on venues such as Weald Country Park, Waveney Valley, the Big Grange and others. The ‘Biggest Common in Essex’ chapter details an amazing array of big carp, including Chris’s capture of an Essex record common of 53lb 9oz, ‘arguably the country’s most stunning common’ as one of the leading fishing magazines referred to it at the time. The book details the trials and tribulations of his pioneering years carp fishing in France, to Chris finally becoming the owner of his own lake in central France some years later. Chris was amongst the first UK anglers on both Lac Du Der Chantecoq and the mighty Forest D’ Orient, bumping into some now very well known anglers along the way. The France chapter includes Lac De Saint Cassien and many other high profile venues, with lots of photo’s never previously published. 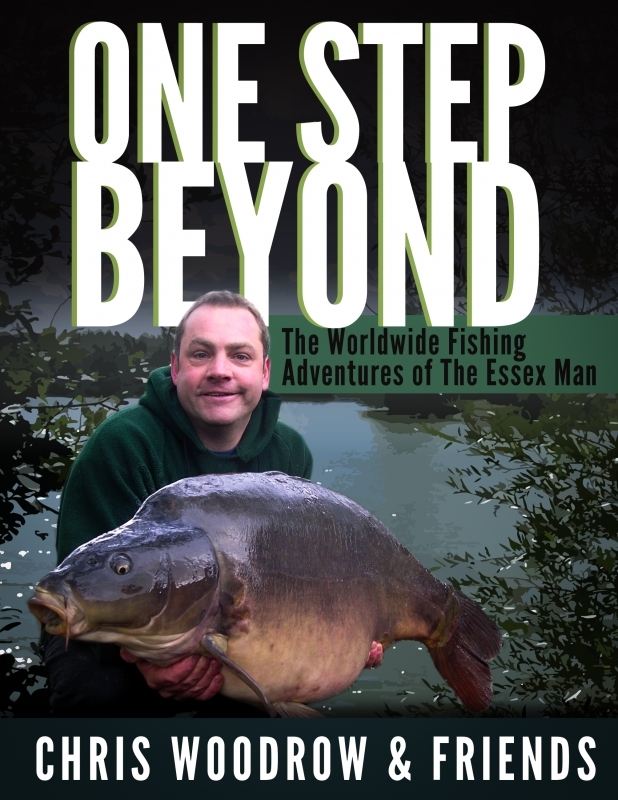 Outside of the UK and France, the book features chapters on Chris’s fishing exploits in India for Mahseer, carp in Spain, the St. Lawrence River in the USA, the Volga Delta in Russia, Nile Perch and Tiger Fish in Egypt, carp fishing at Lake Raduta in Romania, the big reservoirs in Hong Kong & mainland China, plus carp in Slovakia and Hungary. There are also chapters on carp fishing in Japan, Morocco and Slovenia, with fish in excess of 100lbs! With a foreword by Simon Crow, plus a line-up of guest chapters featuring some of the biggest names in carp fishing. Rob Maylin, Steve Briggs, Jim Lightfoot, Leon Bartropp, Jason Rider, Sam Jefferys and Steve Sands – a big read and well worth a look!